The Bamboo Sheets by Bamboo Tranquility are pretty high quality bed sheets. This bamboo bedding currently has a 4.1 rating on Amazon, as well as a bunch of great, positive reviews. There are a few critical reviews that should warrant your attention, but let's dive right in and see what's what. The Bamboo Sheets by Bamboo Tranquility are made from bamboo rayon. Often called bamboo viscose, it makes up the majority of bamboo fabrics, and the best bamboo sheets, on the market today. Most rayon viscose is made using the viscose process. This involves dissolving the bamboo cellulose in a strong solvent. This creates a pulpy solution that's forced through a spinneret and into another solvent that solidifies the cellulose strands into the fibers. These will then be used to make the thread and ultimately the rayon. Some of the chemicals used in the process of rayon include chlorine bleach, sodium hydroxide, sulfuric acid, and carbon disulfide. Due to this, the rayon tends to not retain much of the original bamboo. In fact, bamboo rayon sheets are required to be labeled as rayon made from bamboo. This is because in 2009, the FTC (Federal Trade Commission) found that rayon made from the bamboo plant really does not retain any of the antimicrobial properties of the original organic bamboo plant. In addition, it's manufacture is absolutely not eco-friendly as the process results in a lot of wastewater, along with harsh and toxic chemicals. Now, while they are not entirely—or at all—eco-friendly, viscose is one of the softest bamboo fabrics around. The company actually claims that it is softer than 1000 count sheets, which is absolutely believable. This is because out of all of the things people complain about with these sheets, the softness of them is not an issue. Inside the bedding set, there are four items. Looking at the queen set, it includes a flat sheet of 90 inches by 102 inches, a fitted sheet of 60 inches by 80 inches, and two pillowcases of 30 inches by 30 inches each. The fitted sheet also has a depth of 16 inches, which is fairly standard. These bed sheets are also available in any mattress sizes from a twin to a California king. You can also buy larger pillow cases if need be by selecting queen or king pillowcases. In terms of color, there are only three to choose from, so if you are looking to get adventurous, tough luck. You can grab these in either white, grey, or ivory. The care quality of these sheets is a bit more involved than usual. While they are machine washer friendly in cold water, it is recommended that you either dry them on a delicate cycle or line dry. This is because any intense heat can damage the rayon fibers. Using a line to dry them is highly recommended as it is the least intensive option. Like most bamboo sheets, the Bamboo Sheets by Bamboo Tranquility have about the same features. They are thermal regulating, which comes naturally to bamboo sheets. This means that you will sleep considerably cooler in the summer, but they will still keep you plenty warm in the winter. They are also breathable, which is a nice break from the near-suffocating cotton and microfiber sheets we are so used to. While the company, like all of the others, promotes the hypoallergenic properties of the bamboo rayon sheets, the very manufacturing process for rayon renders them stripped of any beneficial property the organic bamboo had. At least, that is the current consensus on the matter, from the information we have officially. At this point, studies have shown that rayon viscose products do not have any hypoallergenic properties. However, bamboo bedding in any form is resistant to the growth of mildew, so there is that. Bamboo Tranquility was founded by Milovan Simic. Simic started the company after he first experienced bamboo bedding and found out how much most of them cost. After trying to find cheaper ones on Amazon, he was fairly disappointed with what he ultimately got. He wanted to make a quality product that had all of the best features, including being extremely soft, breathable, and eco-friendly. He realized that to make this happen, the sheets would not be the cheapest on the market, but they definitely would not be the most expensive either. While their product line is very small, their products are of the best quality. 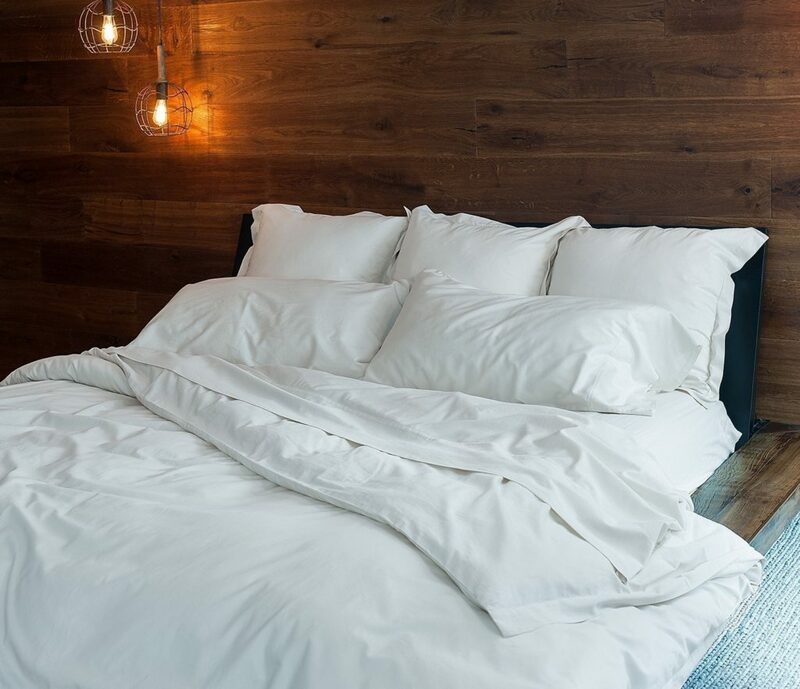 Among their small product line, they have available bamboo linen duvet cover, bamboo linen being 100 percent true bamboo, and of course the soft bamboo sheets by bamboo tranquility we are reviewing here. The Bamboo Sheets by Bamboo Tranquility are not a blend, but 100 percent viscose. This means that they are super soft and fairly durable. Viscose is one of the softest materials available, and it is a far better option than a blend. These sheets are very well sized. Being available for any bed size, the queen size in specific includes four pieces in the set, and all of the pieces are appropriately sized. These soft bamboo sheets have deep pockets, which allows the fitted sheet to be placed over a mattress topper with ease. Bamboo sheets have various properties that are retained even after the intensive chemical processing. Some of the best ones include being very breathable and thermal regulating. This means that they will keep you cool when it's warm, and warm when it's cool. These Bamboo Sheets by Bamboo Tranquility do not pill. You know those little balls of fuzz that end up all over your sheets after a few washes? Yeah, you won't get those here. The top critical review of these sheets did give us a few cons to mention. For one, they will wrinkle very easily, especially after you wash them. For most, this probably will not be an issue. However, for those who are neat freaks, you'll have to iron them flat after the wash. In addition, the review did mention that they seem to consistently shrink with every wash. Also, the review said that they are losing their quality with every drying cycle. We highly recommend air drying these sheets, though it may take a decent amount of time. The whole wrinkling issue is really not that bad. I mean, the sheets are going to get wrinkled after you sleep in them anyway, so what is the real issue? However, the shrinking aspect of these sheets can be troublesome. While these sheets are delicate cycle friendly in the dryer, the company still highly recommends air drying the sheets. With enough exposure to heat over time, the sheets will start to lose their quality and shrink, whereas if you line dry them after every wash, there should not be an issue. That being said, this will still probably be a deal breaker for some people. For the price, you are getting a pretty great quality bedspread, just be sure to take care of it and get the most for your buck. Overall, the Bamboo Sheets by Bamboo Tranquility are pretty great. While there is more care required, you are getting good quality bedding for the price. Speaking of which, if you want to grab a set for yourself, you can find the queen set on Amazon for $139.00. For any other information, including the best bamboo sheets, head on back to Green and Growing. Here are some top questions that I found for people seriously considering buying the Bamboo Sheets by Bamboo Tranquility. Will these sheets pill at all? From the looks of the reviews, no. Do these experience any shrinkage? If you follow the washing recommendations, no. Be sure to wash them in cold water and line dry them afterward, and you should be fine. Could these sheets be damaged by dogs nails? The sheets should hold up fine.